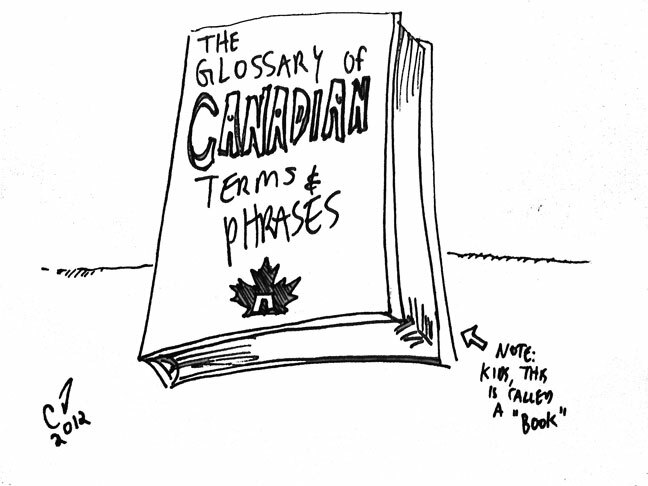 Canada is a country that is wide and vast in language as it is space. And Trees. A Canadian on the West Coast will say 'Eh' much differently than someone in Manitoba. Or Peterborough. ESPECIALLY Peterborough. Thats why we at the Long John Index, in addition to our valuable weather watchering, track terms and phrases in the Canadian language. As a service to you, we post them here, so that when people are talking about POLAR BEAR ALERTS or LONG JOHN INDEX ROYAL FLUSH, you'll know what they are talking about! LONG JOHN INDEX ROYAL FLUSH - is a situation wherein all major cities across Canada have temperatures below the freezing point, and therefore qualify for a Long John Index Forecast. Long John Index Royal Flushes are generally issued during the day time, but will be issued overnight, should the opportunity arise. This phenomenon is very rare, due to the varied climate zones across the Canada, and also due to Toronto usually avoiding a Long John Index at any and all cost. FOG MOOSE ALERT - Occurs during Foggy conditions when Moose, which are as common in Canada as sparrows or coffee cups, become dissorientated and wander into places they normally don't go. It is very common to all of a sudden find a Moose in shopping mall, in line at a popular coffee chain, or in some extreme cases, in your bathroom. It is advised that during Foggy conditions, be extra careful that you don't bump into a moose in your own shower.